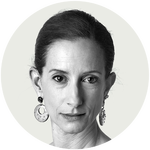 The return of the prodigal sons, and the debut of a dutiful heir at Carolina Herrera. This is a moment of returns. It’s back-to-school time. Novak Djokovic came back to win the United States Open. Barack Obama has been back on the hustings, providing a clarion call for Democrats. And Proenza Schouler — erstwhile next-gen hope of American fashion, a brand born with the millennium that seemed to to effortlessly channel a certain New Yorkiness of the soul, a brand that rode off into the Parisian sunset a year ago — is back on the ready-to-wear schedule. Hallelujah! That is, admittedly, a little sarcastic. But it doesn’t entirely underestimate the stakes. New York fashion is in a weird place: bifurcated between the old names that shaped dressing when Wall Street (both the film and all it represented) was in its heyday, and the new, who want to tear it all down. Maybe the designers Jack McCollough and Lazaro Hernandez, who once seemed poised to redefine sportswear for a millennial generation, could bridge the gap. The scenario was promising — an under-renovation floor of an office on (yes) Wall Street, sandwiched between Federal Hall, billed as “the birthplace of American democracy,” and the Trump Building, a skyscraper built in 1929 to be the tallest in the world. Up a stalled escalator guests climbed, to discover an installation by Isa Genzken, a German artist who is a favorite of the fashion world (Phoebe Philo and Raf Simons are also fans), featuring mannequins crowded together in various states of Proenza Schouler undress, their arms thrown up, wrapped in plastic and other warning signs. Just imagine the metaphorical possibilities. Certainly, that’s what the European Union thought when it threatened to tax Levis. But that was earlier this year. Plus, it had a different kind of denim in mind. This was denim acid-washed and bleached out; denim tie-dyed and indigo-dipped. Denim in the shape of long suit jackets and dropped-waist dresses with high halter necks, denim in A-line skirts torqued just ever so slightly askew. Denim paired, occasionally, with silver leather vests (Ms. Genzken likes a vest) and two-tone tie-dyed button-down shirts, inset with cityscape photos inspired by Ms. Genzken’s work. Denim made into steroid-huge squishy shoulder bags. Denim given an urban cowgirl edge. Denim made entirely in New York and California. It was fine, as far as it went. It just didn’t go that far. An apron dress and shirt in raw canvas twill covered in an elaborate pattern of sparkling silver studs promised something more — the designers have a particular talent for abstracting old tropes of decoration and recontexualizing them — but it was a tease, rather than a fully explored idea. Denim as the ultimate American fabric is pretty old hat. For designers to take it on, they really need to add to the conversation. Maria Cornejo gave it an admirable try, in her Zero + Maria Cornejo show, with egg-shaped caftans and suits absent hard lines in sheeny sapphire “eco-denim,” though the tiles of block-printed black-and-white circles and squiggles that made up another daywear idea were even more interesting — like a Zen-crafty wearable Rubik’s Cube. Pointedly, when Alexander Wang, another one-time favored son of New York fashion, returned from Paris after a stint as creative director of Balenciaga, he, too, offered a collection that was almost stubbornly unfancy, that seemed to reject the value system from which he briefly came. Maybe it’s something designers need to get out of their systems, like a juice cleanse after too much foie gras; a necessary reset. Certainly, Wes Gordon could have used a wheatgrass shot in his runway debut as creative director of Carolina Herrera (he already had done a pre-collection). Maybe some ginger? Anything, really, that felt connected to life today. Instead he went in search of what he termed “happy clothes,” the kind that the brand’s founder, sitting front row with her family, might have worn to go dancing in the 1970s. Like neat suede miniskirts under bright yellow jackets covered in diamanté flowers. White shirts à la Mrs. Herrera, now smocked at the waist and neck, and cut high on the thigh or cropped at the stomach with a bit of drawstring. Also trompe l’oeil evening looks that turned out to be palazzo pants (that was a good idea), and billowing balloon gowns. Also an unmistakable air of a different time, when kicks and polish were all a certain kind of woman really wanted from her clothes. Maybe it was because we were at the New-York Historical Society, but it was hard to shake the idea that such a time is gone.